I picked up some sweet potatoes at the farmer’s market the other day and I was brainstorming ways to use them up. I was settling down for a cuppa and wishing I had a little baked something to nibble on with it, when I knew just what I’d use them for. 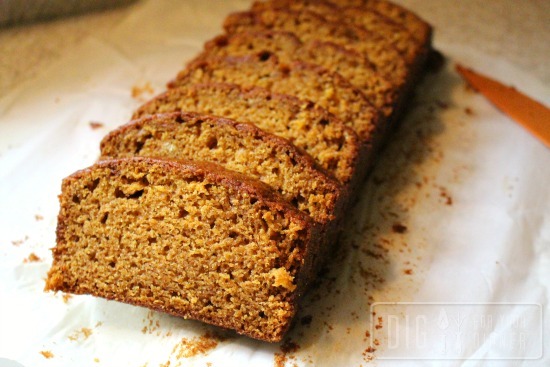 I whipped up this sweet potato bread and was immediately in love. It’s rich and delicious, and as a bonus, freezes well. I wrapped leftover slices individually and will just pull them out one at a time to pair with my tea. You can play with this recipe a bit. You can add nuts or raisins, make muffins or smaller loaves, or bake it up just as I did. Regardless, I think you’ll love it , too. Preheat oven to 350F. Grease a 9×5 loaf pan and set aside. In a large mixing bowl or stand mixer, combine sugar and oil and beat well. Mix in eggs and beat well. In a separate bowl, mix flour, baking soda, salt, cinnamon and nutmeg until well combined. Add a little of the flour mixture to the sugar mixture, then pour in about half of the water; add more flour mixture and the remaining water and mix until well combined. Stir in sweet potatoes. Spread batter evenly in pan and bake for 1 hour. Serve with coffee or tea. Enjoy! On the Agenda for Today.... Weeding! This looks so good! 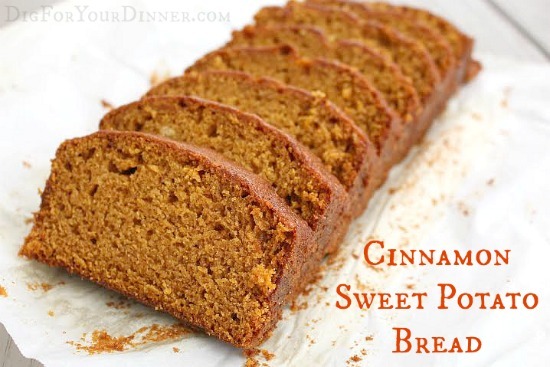 I think I will make this tonight so everyone can have a slice for breakfast. 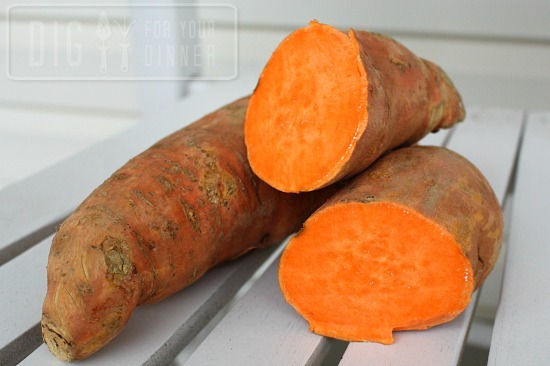 We love sweet potatoes and we eat them all the time and often have an extra one or two left over after supper. This will make excellent use of those with ingredients I always have around. Thanks for the recipe! i make a similar bread using winter squash. When I bake a squash I will freeze the leftovers in one cup portions just to make this bread! My recipe adds maple extract, which adds a nice flavor. I also sprinkle cinnamon sugar in the pan for extra yum. Ohh I will have to try it with maple syrup! It’s in the oven right now! Smells good, so fingers crossed :-). This is the first time I have heard of Vardaman potatoes.Will you show me a picture of the plant please.